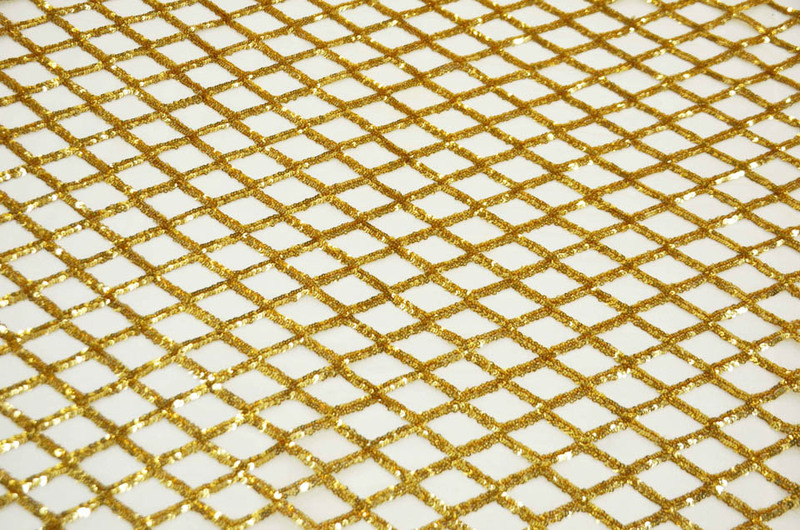 Order the Best Quality Luxury Glitz Yards in 4 color. 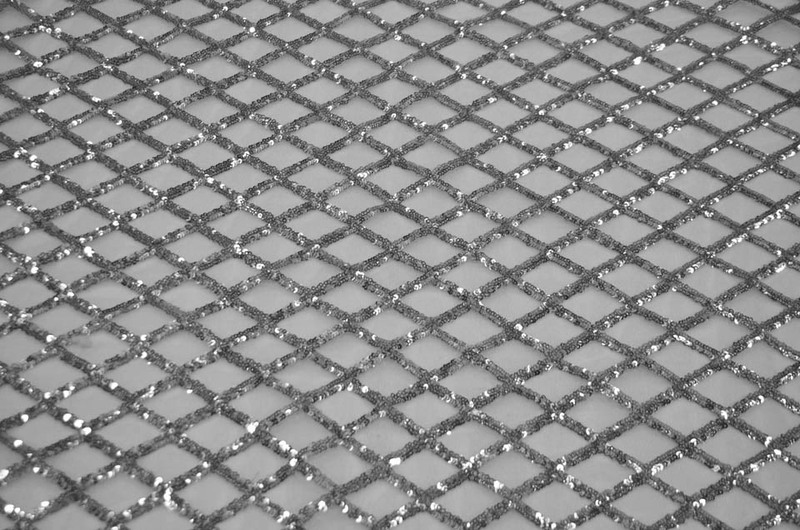 Fabric Description: Luxury Glitz is a unique deviant of our Glitz Mesh Sequins – Looks great as a tablecloth or overlay. Can also be used for accents and or dresses. 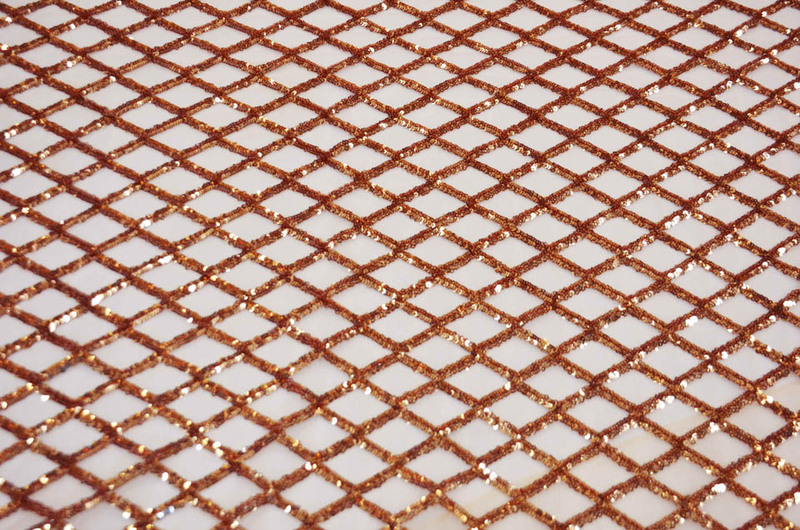 The fabric is versatile with its mesh background. Fabric Weight: Mesh Background has a nice Nylon Soft Weight. Great hand feeling. Drapes beautifully because of its polyester backing. Minimum: Roll size is sold by the 35 yards by the bolt. No Minimum Yardage when Fabric is sold by the Yard. Luxury Glitz is machine washable.